Use these 16 devotionals to help your Christian life grow healthier and more joyful. This book will: help you to diagnose how you're (honestly) doing in your faith; give you the "vitamins" you need--God's ways of helping you to thrive; and point you to the one who enables you to really grow--the Holy Spirit. We all need a spiritual healthcheck from time to time. Let this little book provide you with yours. 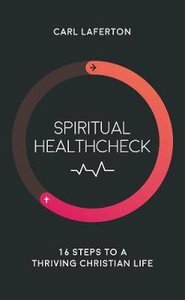 About "Spiritual Healthcheck: 16 Steps to a Thriving Christian Life"